It’s really happening you guys. The end of all things. So all of y’all who want to raise another bottle, step on that throttle and get here for one last trip around the sun. As always, these events will benefit Community Connection/Family Connection. Yay! Tickets to all these events can be purchased at Athensmusic.net. Link here. Night #1: Welcome to the Reconstruction – Athens Bands Play the Songs of R.E.M. Featuring: The Corduroy Road, David Barbe and the Quick Hooks, Futurebirds, Grogus, Jack Logan and Coventry Climax, John Keane and Nathan Sheppard, Kevn Kinney, Lera Lynn, Nanny Island, Romper Stompers (feat. Todd Nance of Widespread Panic, William Tonks & Jon Mills of Barbara Cue, and Daniel Hutchins of Bloodkin), 706, and Thayer Sarrano. The final CD pre-release party with silent and live auctions, exclusive video footage, raffle, and limited edition merchandise for sale. 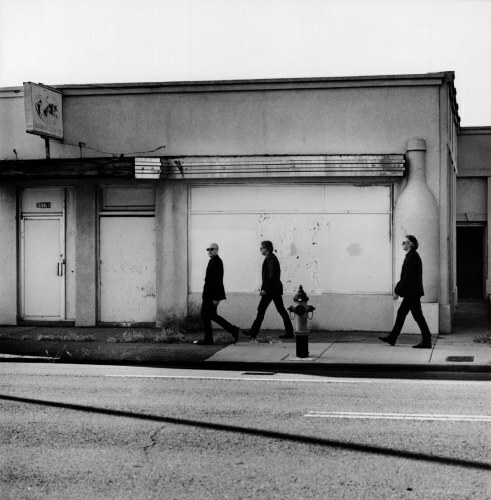 Auction items include a donated Rickenbacker guitar signed by all four members of R.E.M., framed signed guitar picks, an 8”x10” open edition signed archival pigment ink print of R.E.M. in Walter’s Bar-B-Que from 1984 donated by photographer Laura Levine, R.E.M. set pieces from past tours, archived t-shirts, and more. Sampling of food from more than 15 of Athens’ finest eateries, including Weaver D’s, The Grit, Five & Ten, Dondero’s, The National, The Four Coursemen, Ted’s Most Best, La Dolce Vita, The Last Resort, Loco’s, Marti’s at Midday, Mama’s Boy, Heirloom Cafe, Big City Bread, The Taco Stand, Taqueria Del Sol, Farm 255, Jittery Joe’s, DePalma’s and others. During the event, special screenings of R.E.M. live concert footage on an archived 35mm print and a special 90-minute R.E.M. video retrospective will be shown in each theatre. I'm pretty curious about how much might be available at a feasible price. Full-time student wife. Two kids. Public school teacher salary with Christmas approaching = not a lot of spending cash for something that I would love to have spending cash for. You've been to their auctions before. What is your expectation for this one Jordan?